A representative told the United Nations there was no evidence of a "gay purge." A representative of Russia has told the United Nations that it has found no evidence of crimes against LGBT people in Chechnya — or even LGBT people in general. "The investigation showed that there were not even any such incidents," Alexander Konovalov, Russia's minister of Justice, said Monday in front of the U.N. Human Rights Council. "There weren’t even representatives of LGBTI in Chechnya. We weren’t able to find anyone." 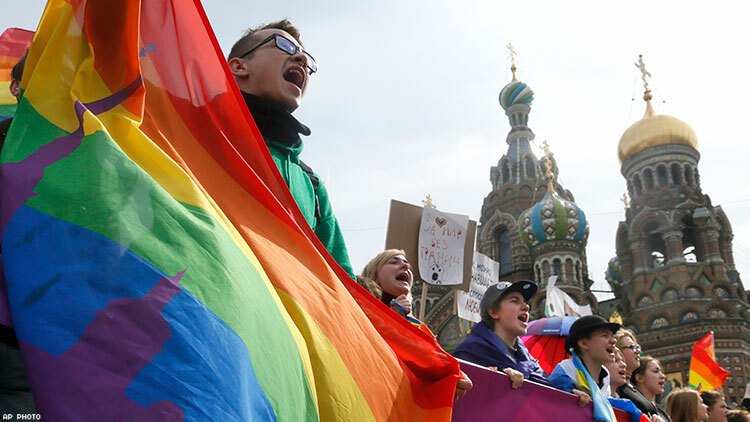 Konovalov's remarks run counter to reports from LGBT groups and the Russian newspaper Novaya Gazeta, which say at least 200 gay and bisexual men may have been detained and as many as 26 killed in Chechen concentration camps. Since reports of the "gay purge" first broke in April 2017, countries like Canada, France, and Belgium have granted asylum to LGBT refugees fleeing persecution in Chechnya. Konovalov's remarks are an eery echo to a 2017 statement from Alvi Karimov, a spokesperson for Chechnya's president, who claimed there were no gay people in the Russian-controlled republic. "You cannot arrest or repress people who just don’t exist in the republic," said Karimov, adding, "If such people existed in Chechnya, law enforcement would not have to worry about them, as their own relatives would have sent them to where they could never return." At the U.N. meeting — a periodic review of Russia — Konovalov claimed his country would continue working toward a "full verification of all allegations of possible violations of human rights of the law of the Russian Federation." However, he criticized countries raising alarms about human rights violations "without any concrete evidence," regarding incidents that may have nothing to do with "political beliefs, sexual orientation, views, religious views, and so on."